Welcome back to our Trim the Tree Party!! Hello Clean & Scentsible friends! 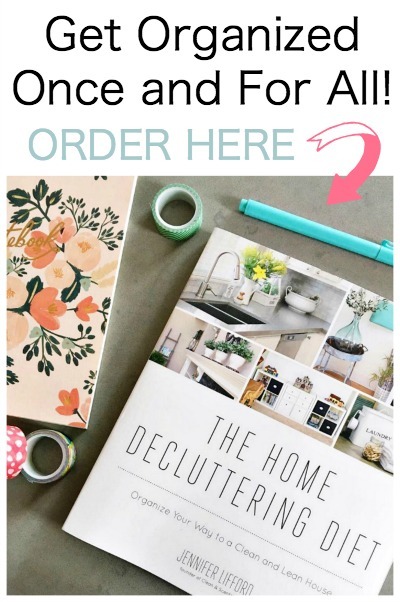 My name is Jo-Anna and I blog over at A Pretty Life in the Suburbs. 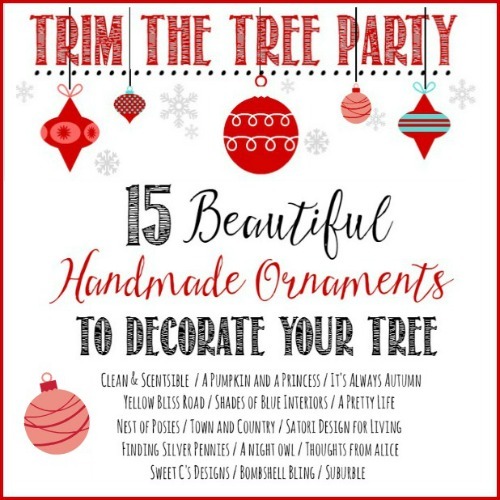 I’m super excited to be a part of Jenn’s Trim the Tree Party today! Trimming the tree is our most favourite Christmas tradition! Every year we all look forward to picking out our tree and then finally decorating it. And boy to we decorate it…our tree gets so heavy with ornaments that we have to tie it up! We just seem to accumulate new ornaments each year, and are always making new ones to hang. 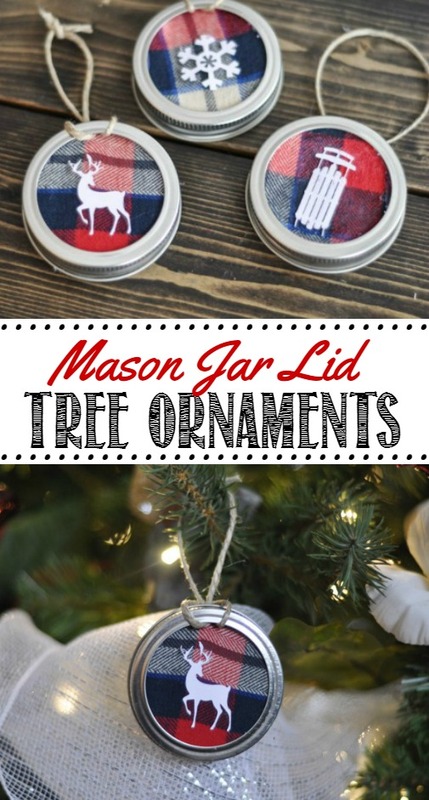 Making tree ornaments is so easy, and there’s nothing like handmade decor! 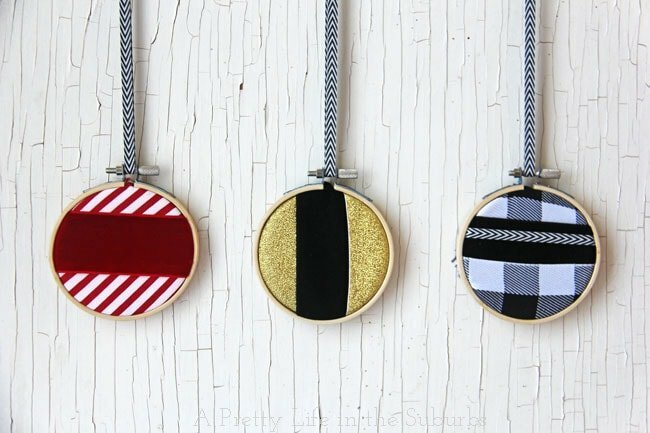 For Jenn’s Trim the Tree Party I wanted to share these Embroidery Hoop Christmas Tree Ornaments with you. Quite a few of these have made it on to our tree this season! They’re inexpensive (less than $4 each), and so easy to make…even the kids can get in on the fun! All you need are small embroidery hoops – about 3 inches wide (I found mine in the yarn section at Michaels for about $1.50 each) and some pretty ribbon. 2 things. That’s it! Just cut the ribbon to 5 inches in length (or at least long enough to overlap the small inner loop by about an inch on each side). Lay the ribbon out on to the small inner loop of the embroidery hoop, in the pattern you want. Then lay the outer loop of the embroidery hoop over the ribbon and smaller loop, then tighten it up. You might have to pull the ribbon to make it tight. 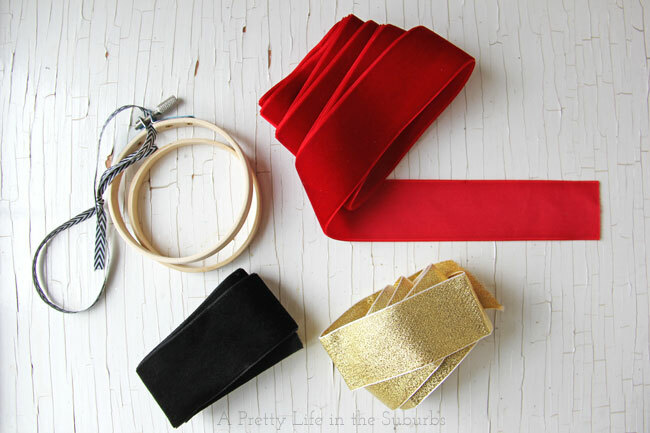 Trim off the excess ribbon, then add a pretty ribbon for hanging. 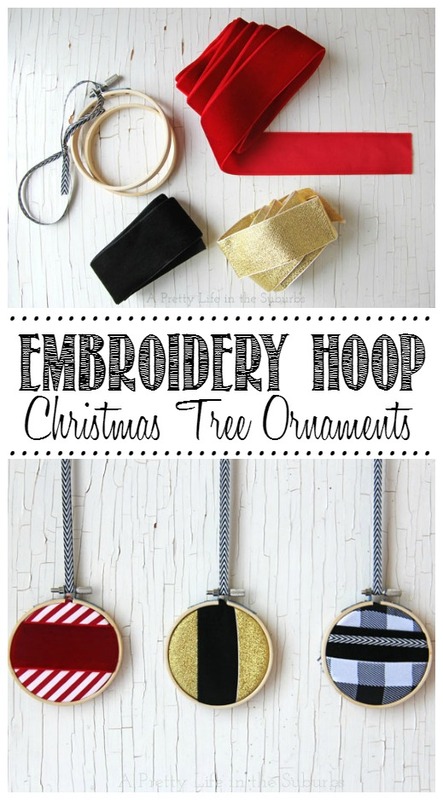 Have fun with these ornaments…use different colours, patterns and textures! Add bells to the hanging ribbon, try different sizes…the pretty possibilities are endless. SO fun! 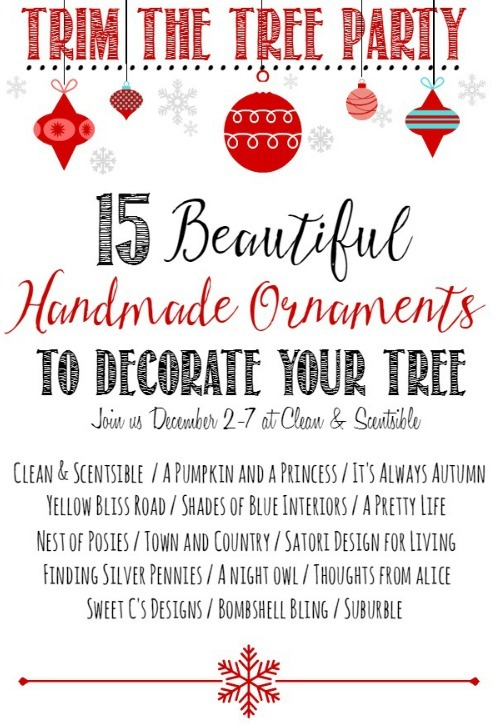 I hope you make some for your tree! 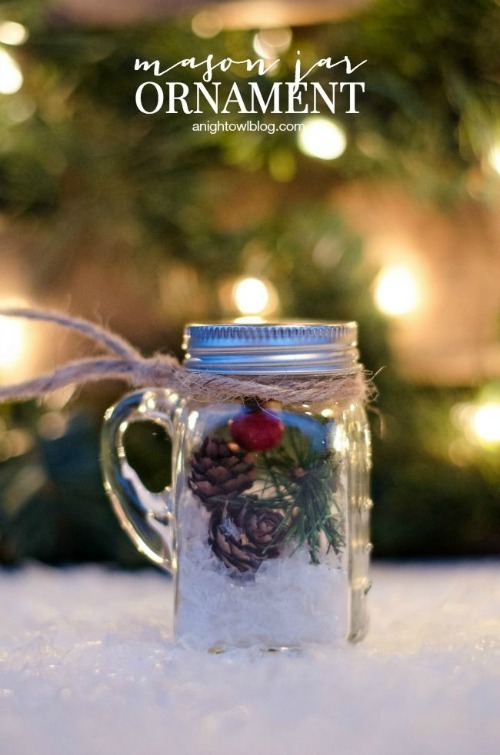 Stop by my blog for more Christmas inspiration! I’d love to have you there! Or follow me along on Instagram or Pinterest! Thank you Jenn for having me here today! Cute, Jo-Anna! 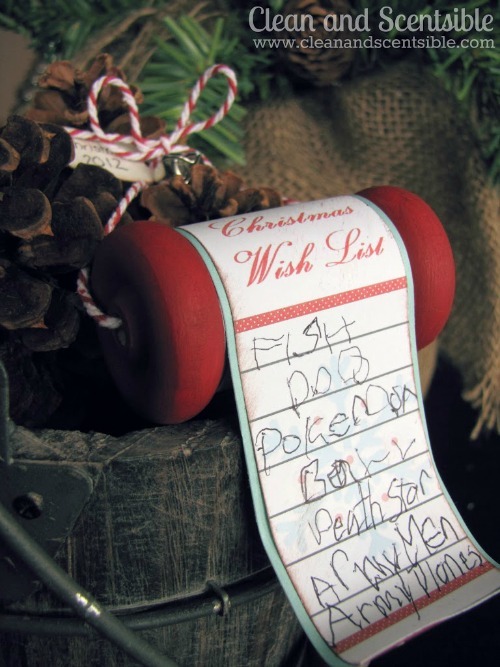 A great ornament for the kids to make, for sure!